Welcome to Juanita Vision Works! Welcome to Juanita Vision Works in Juanita Village in Kirkland. We pride ourselves in providing excellent clinical care and unsurpassed customer service. Dr. Karen Sahota and her team look forward to serving your family’s vision needs. 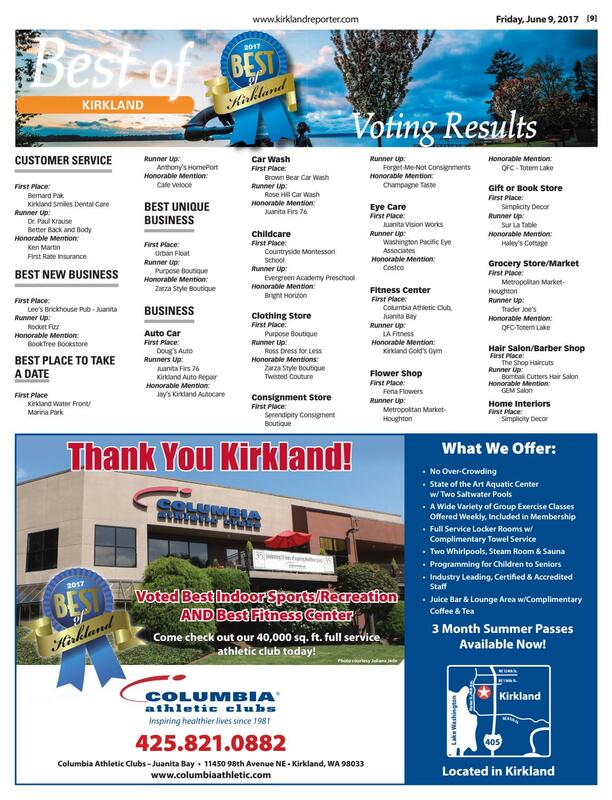 Juanita Vision Works was recognized by the Kirkland Reporter as “Best Eye Care 2017” and runner up as “Best Physician 2017” and “Best Medical Center 2017”. 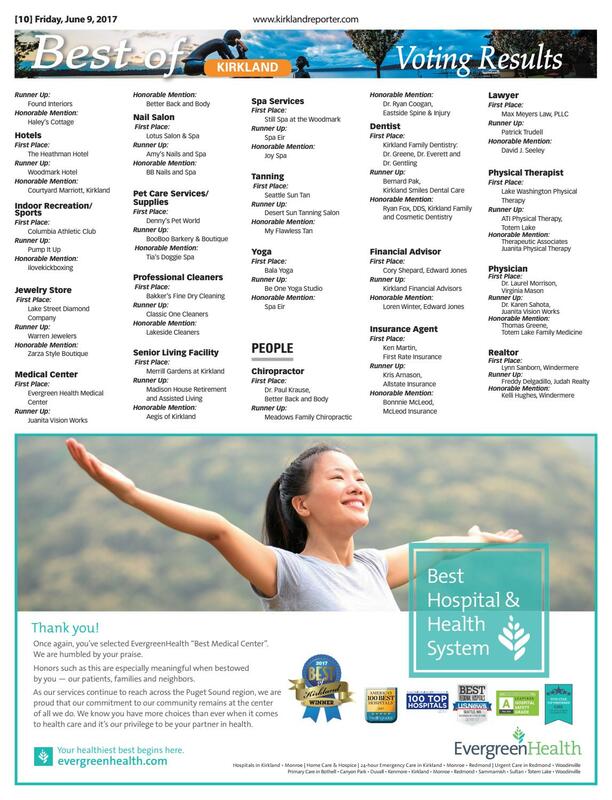 This is the second year in a row that our office was recognized. View them here and here. In everything we do, we aim to provide our friends, neighbors, and the surrounding community with quality eye care and optometric expertise in a setting that is friendly and efficient. Call us today or visit our appointment request page to find a time that is convenient for you to see Dr. Karen Sahota!